SitSteel strives to merge form and function in a minimal aesthetic, while emphasizing a craftsman approach to building art furniture. A return to simple angular lines and hand made technics in contrast to the machine produced curvilinear furniture which prevails today. 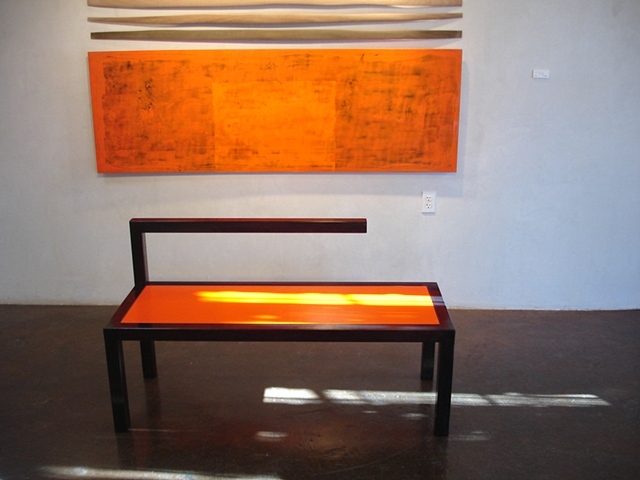 Gaspard Cabanes, a metalsmith who was born and raised in France, is now located outside of Santa Fe, New Mexico, where he designs and welds his unique furniture that are shown in galleries. furnishings, most of which are one-of-a-kind and limited editions.